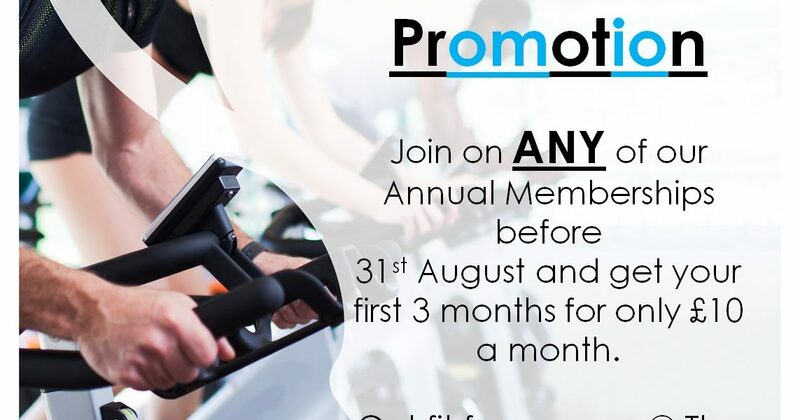 Join on ANY annual membership before 31st August and get your first 3 months at £10 per month. 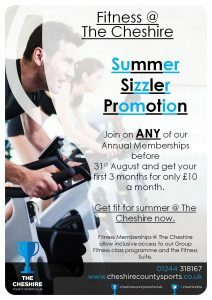 This includes all of our classes and un-limited use of the fitness suite (open weekdays from 6.30am). Annual memberships start from as low as £12.50 per month (concessions). Don't wait - join today and get your fitness journey started now. Simply call us on 01244 318167 to find out more/book your induction.